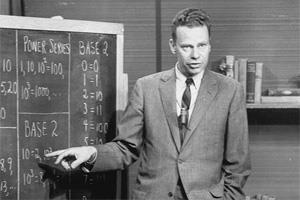 When Charles Van Doren died Tuesday (April 9) at the age of 93, he could have been the question for a Jeopardy answer. 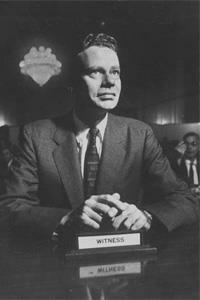 Yup, that was Charles Van Doren, and while he shifted to a low profile over the last 60 years of his life, he was for a brief time one of the half-dozen most famous men in America. He was also one of the people who helped shape the legacy of television’s formative years. No joke. 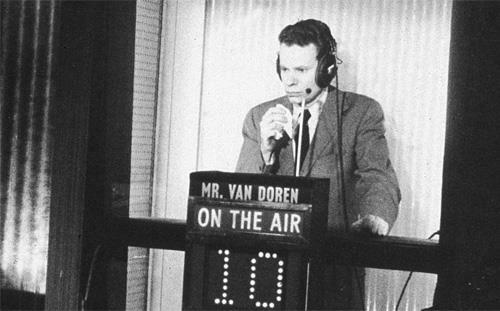 When you tick off early TV names like Lucille Ball, Edward R. Murrow, Arthur Godfrey, Milton Berle, Ed Sullivan, Jackie Gleason, and Walt Disney, you can’t finish the story without mentioning Charles Van Doren. In February 1957 he was on the cover of Time magazine, famous for the remarkable reason that he seemed to know everything. On Nov. 28, 1956, he had joined Twenty-One as a challenger, and for the next two months, he beat everybody with his seemingly limitless erudition. A national buzz built around him, and the show. When he finally finished his run on March 11, he had won $129,000, the equivalent of more than a million bucks today. We liked and admired smart people in the 1950s, maybe more than we do today and almost certainly in a different way. Smart people built satellites and developed a polio vaccine, in contrast to making a zillion dollars by creating Facebook. Van Doren seemed like a brilliant guy. We liked that. 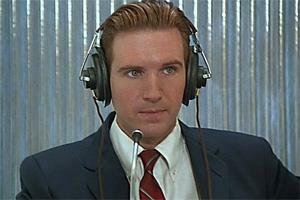 We rooted for him as he pondered each question in his isolation booth, reaching deep into the recesses of his RAM, er, his brain, and finally coming up with an amazing answer. Only trouble was, he hadn’t really been wracking his brain. He only had to remember what his producer had written on a piece of paper. The agonizing was all show biz. The producers of Twenty-One had scripted a storyline, just like I Love Lucy or Gunsmoke, and Van Doren was the suave, handsome guy in the starring role. Central casting scores again. Funny thing is, Van Doren really was smart. He’d attended Cambridge. He had a Masters in astrophysics and a Ph.D. in English from Columbia. For the purposes of Twenty-One, however, it didn’t matter if he knew Mickey Mantle from Mickey Mouse. In return for that $129,000 and his Time cover, Van Doren got to appear before a Congressional committee (bottom) and tell the whole country he was a greedy fraud. The scandal didn’t ruin his life. By 1959 he had moved to Encyclopedia Britannica, where he worked for 23 years. He wrote, co-wrote, and edited dozens of books, including a 20-volume history of America and tomes on Shakespeare, Western Thought, and the joy of reading. His last published work, when he was 87, was a three-volume novel about the Middle Ages. That is, he moved from popular culture into the more scholarly world from which he may have occasionally wished he had not strayed. Or maybe not. Maybe there were parts of fame he secretly still remembered fondly. In any case, Van Doren’s story didn’t play out the way celebrity scandals play out in the social media and digital age. Most celebrity embarrassments today last until the next one, which is about two tweets later. Van Doren, conversely, remained a TV cautionary tale for decades. While cheating on a TV quiz show was hardly the worst sin of 1950s America, where most black citizens still could not vote, the “quiz show scandal” had long legs. In a way, it was TV’s “There is no Santa Claus” moment. For much of its first decade, television rode into American homes on a wave of wonder. Here were all these people, some ordinary like us and some incredibly famous, right there in our living room. There was a marvelous moment on Downton Abbey when all the Crawley family sat at attention in formal dress to hear the first radio address by King George. They treated the wireless, that is, the radio, the way they would have treated the king himself. Americans, less schooled in royal protocol, were a bit more casual about seeing President Eisenhower or Groucho Marx on TV. They did, however, trust what they saw. Who would come into your living room and lie?